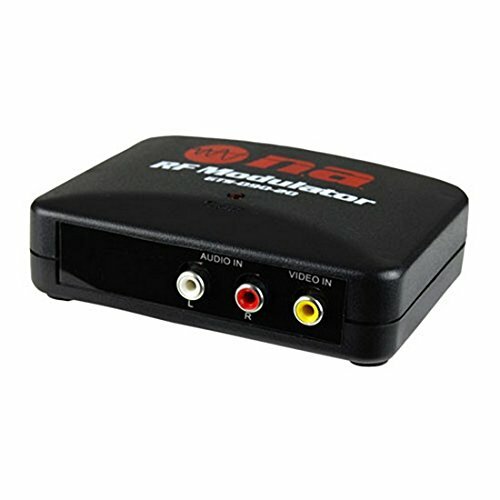 This video system converterallows you to convert your AV inputs into RF output signals.Automatically switch from an AV Device to Home TV when the AV Device System is turned on.Shielded Coaxial Cables make for a clearer picture and free from outside signal interference.Excellent for Satellite Receivers, Video Cameras, Video Game Consoles, CCD Cameras, Cable TV, VCR, DVD and more. If you have any questions about this product by Nippon America, contact us by completing and submitting the form below. If you are looking for a specif part number, please include it with your message.